I entered Cafe Campus just as CHRIST was finishing their last song. This was the second time that week I saw CHRIST, who played Turbo Haus two days prior. As the last notes were fading, the keyboard player silently nodded to the crowd as if to say “That’s it!” then mimed a C-O-L in a Y-M-C-A fashion to hype the crowd for the headlining band. Inaeona from Boston went on stage next, installing their own lights on top of their amps. Vocalist/guitarist Bridge Laviazar’s angelic voice brought out the emotion in their heavy music. Her body moved gracefully as she played in the blinding light like a headbanging ballet. After their set, the whole stage had to be rearranged to accommodate the growing number of musicians coming on. 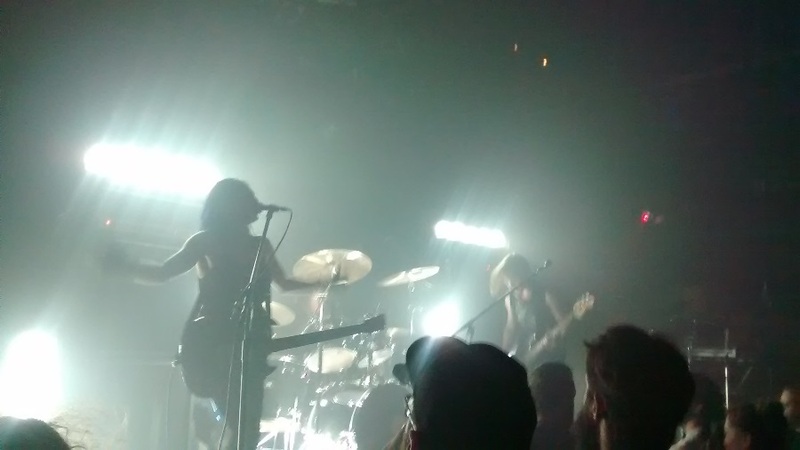 I have been listening to Kylesa for a few years, though this was my first time seeing them live. The sludge band from Savannah, Georgia includes two drummers and shared male/female vocals from guitarists Phillip Cope and Laura Pleasants. They started with a few songs from their upcoming album, Exhausting Fire, then delved into more familiar territory. I got goosebumps when I recognized tracks from their 2010 album, Spiral Shadow. During long instrumental sections, Cope would play around with a theremin attached to a turned up skateboard deck, while both drummers battled it out on their kits under two spotlights. It was an experience I’m glad I did not miss. 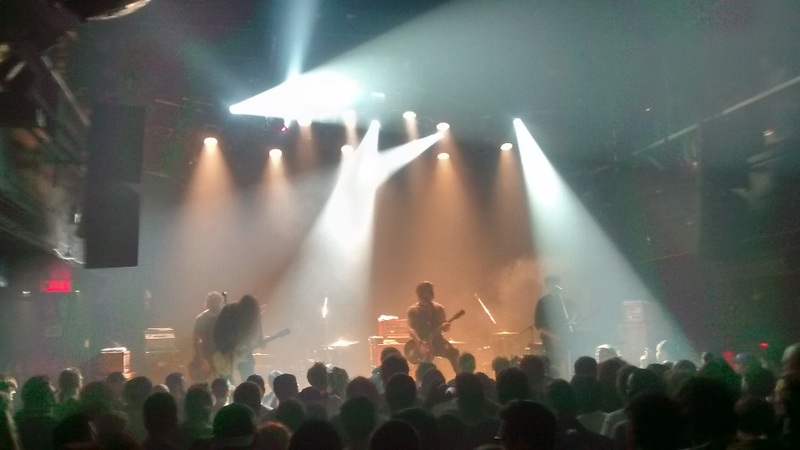 The room in Café Campus was filled with so much smoke and flashing lights that I could only make out the silhouettes of the seven-piece known as Cult of Luna. I never paid much attention to the Swedish band until attending this show, but I was definitely impressed. The music was powerful and hypnotizing, venturing into a harsher realm of shared vocals. Each song was an average of 10 minutes long and the set lasted for a good hour and a half, which made some audience members uneasy about whether they would catch the last metro. Die-hard fans, on the other hand, were exacty where they wanted to be as the slowly headbanged along to the dueling drumbeats. On the second to last song, the band took a break from screaming to play Passing Through. All members played their instruments lightly as to not overpower the vocals no louder than a whisper, stopping all together near the end for the singer to gently finish the song acapella. The entire room went dead silent and before the audience could react in applause, the band launched into one final banging epic. 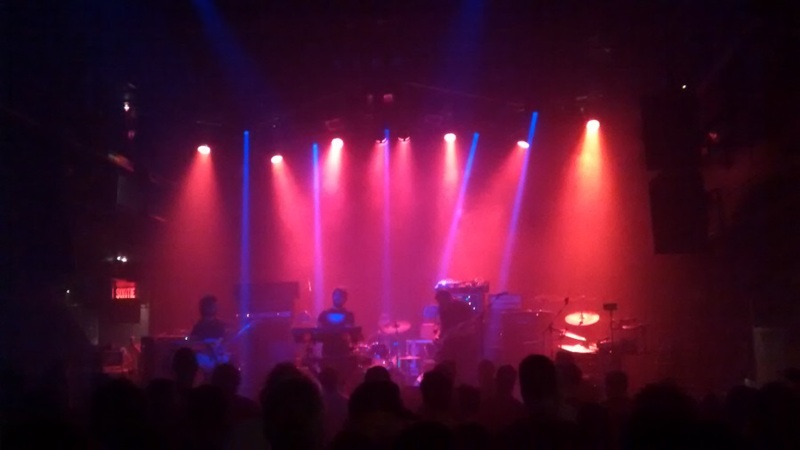 I consider this week as my official introduction to post-metal. I always thought of metal as playing as brutal as possible with countless guitar solos, but now I realize there are other possibilities. 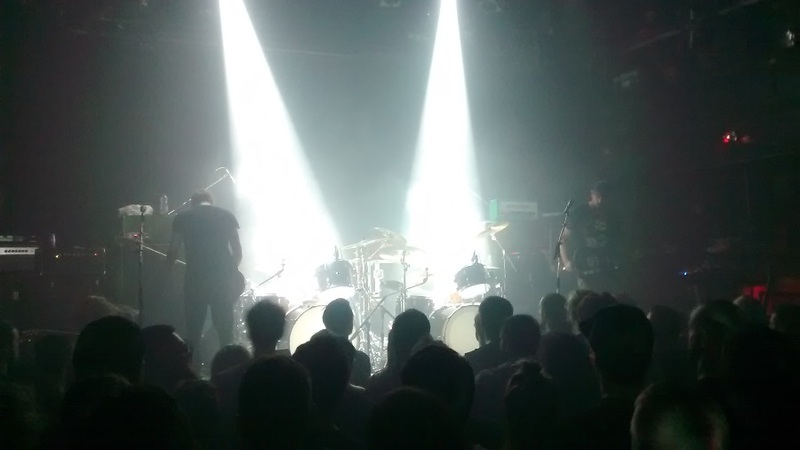 Post-metal transitions between a heavy doom sound and a psychedelic ambient sound, with the aid of cool gadgets to warp that sound however the band pleases. The evolution of music never ceases to amaze me. Cult of Luna played at Cafe Campus on September 2.